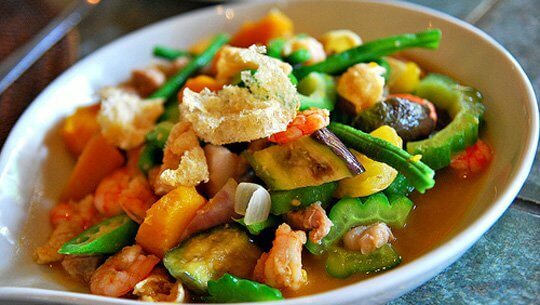 Go the the north in Llocos, vegetarian dishes such as okra, eggplant, bitter melon, pumpkin, tomato, bagoong (shrimp or fish meal) are a favorite dish. Pinakbet processing is simple, inexpensive and healthful, so it appears in local households and restaurants. 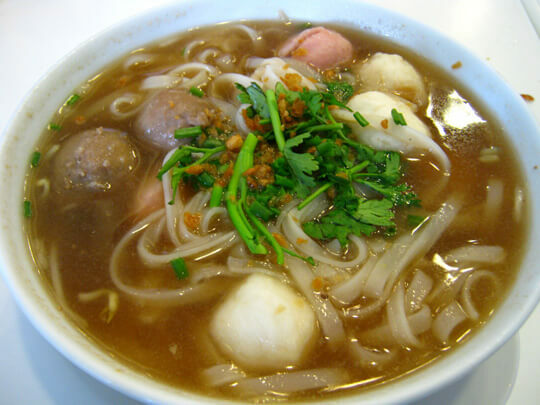 Mami noodles are also prominent in the culinary culture of this island. Imported from China, Mami noodles have been transformed into national food by the people here. Noodles made from the finest wheat flour, combined with meat and bone extracts and special spices, will produce a popular but delicious dish. Since it is a long history dish, visitors can eat in any restaurant or restaurant. 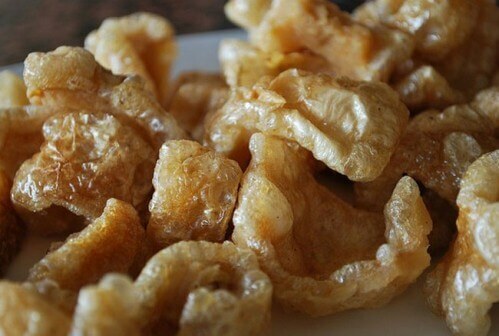 Tsitsaron sounds strange, but according to the Vietnamese "dictionary" , it is a modified version of the fat that the Filipinos call chicharrón. The chef after a slice of lard "stick" a little meat will marinate with salt and seasoning to soak them and "bath" them in the fat pan boiling scoop until cooked crispy and fragrant. This unique dish, often accompanied by green papaya pickled papaya, is often sold in most shops along the streets of Manila. Also made from tofu, but Taho has a "sweet spot" with the sweet, delicate fragrance of fresh cucumber with caramel or vanilla and a little bit of pearl. 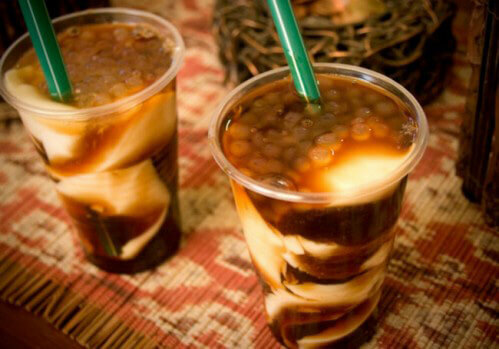 If you have the opportunity to travel to the Philippines, do not forget to go to Jorge Bocobo Street to enjoy the flavor of the Taho cup. 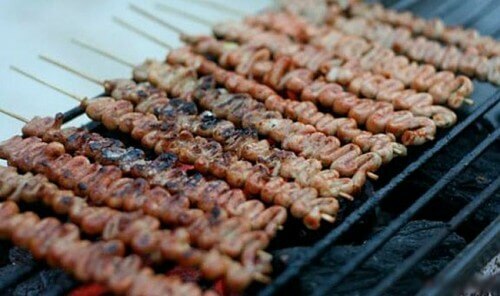 The Filipino's Isaw chicken is quite rich. The chef takes advantage of all parts of chickens to "transform" into impeccable grilled chicken. Chicken viscera, meat, neck, wings, chicken head after cleaning, marinated spice will be slanted on each stick and grilled on charcoal stove until fragrant crispy. It would be perfect if you enjoyed Isaw while it is hot with chili sauce and sour vinegar. 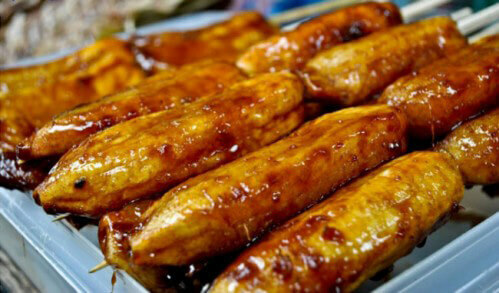 A unique homemade dish in Manila is a banana with grilled pork. Is it strange? The fresh pork pieces after being sliced square and grilled will be mixed with round slices of banana. Finally, a layer of sweet caramel paste will be added. Do not be surprised, just go the Padre Faura Street in Manila, you will understand this strange food is on the list of "must-eat" of the Philippines. 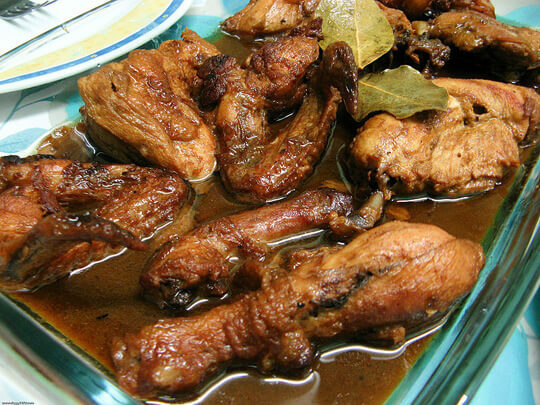 Philippine food list could not be completed without Adobo. This is a very popular dish, appearing in every Filipino family. This dish originated in Mexico, but the Filipino people varied it by cooking meat (usually chicken and pork) with vinegar, salt, garlic, chili, soy sauce and other spices. 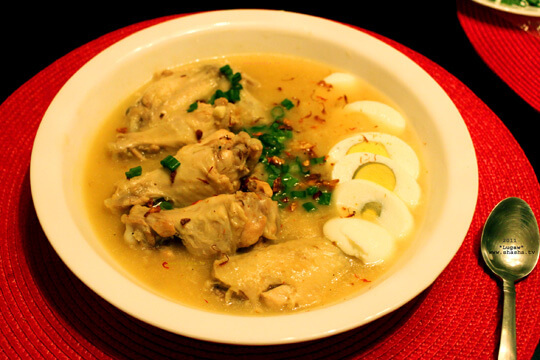 Arroz Caldo is a deli porridge with thick chicken pieces, combined with ginger. Some also add boiled chicken eggs, roasted garlic and green onion. You can catch this on the sidewalk in the Philippines. 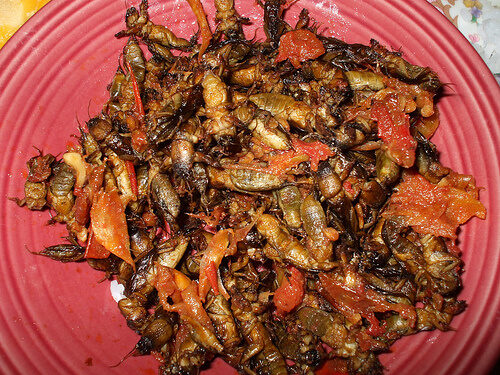 A dish made from an insect, and chefs from Pampanga are the best Kamaro processors in the Philippines. 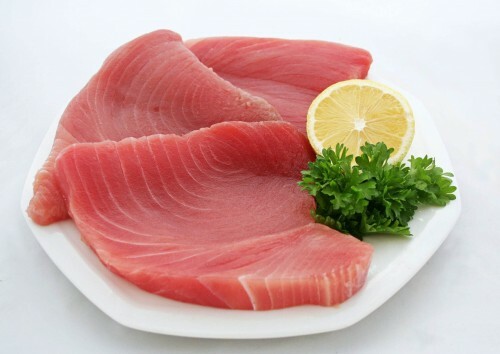 One of the specialty in Philippine is the "ocean tuna", a dish that often appears in family meals and is the dish that most customers use when coming to the Philippines. Fresh tuna are picked up, cleaned and sliced live right along with mustard. More sophisticatedly, it is seasoned and baked on charcoal. Also included are vegetables such as salads or herbs. Head, fins or fishbone are cooked. Almost all restaurants and eateries have this popular dish.